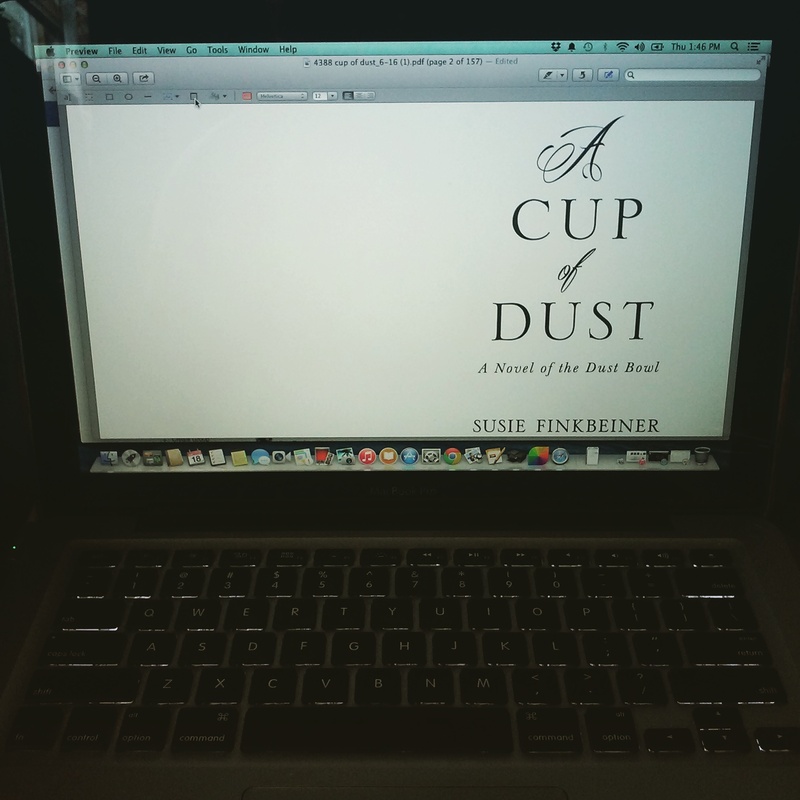 Friends, today I’m attempting to wrap up a final look-through of A Cup of Dust. This is called the “Galley Stage” and it’s just another part of the marathon that is book writing/publishing. I’m trying to find all the typos I can so we can have a clean manuscript for all of you eager readers. Because of that, I’ve got nothing to blog about. Don’t despair, though. I’m over at the Breathe Christian Writers Conference Blog today and I’d love it if you’d head over and say “howdy” over there. You can read my post HERE. Watch for another Depression Era recipe later this week. It’s one my kids have been begging me to make. Yippee!